Friday, 11/29 is Make Everything Day at LOL! 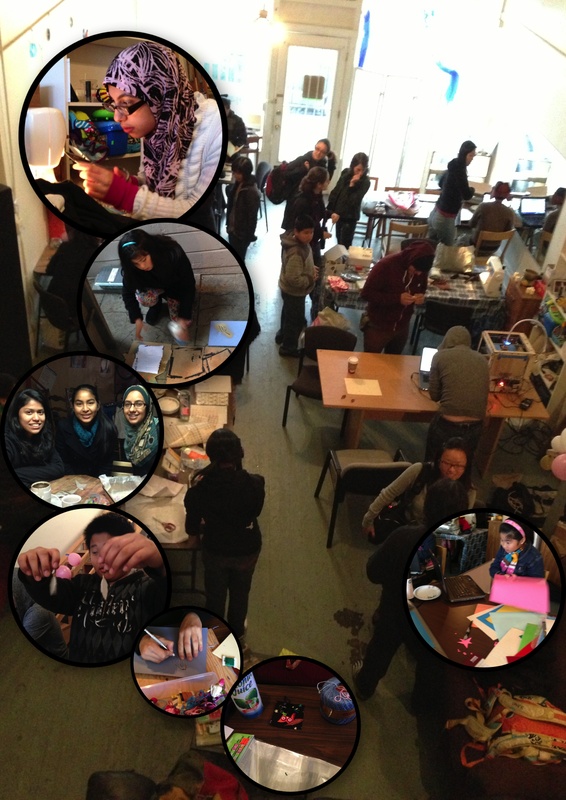 We had a lot of fun at last year’s Winter Make-A-Thon, and so we’re bringing it back! This time, it’s going to be on Black Friday, 11/29 from noon until 5 PM. Come join us! It would be really great to make stuff together and enjoy a nice relaxing day. The perfect alternative to the stressful frenzy that is the hallmark of Black Friday. Just like last year, there will be several making station set up. We are planning on having stations for making jewelry from recycled bicycle parts, indoor gardening, 3-D printing, candlemaking, pie baking, and electronic cutting (and other paper arts). We are open to suggestions on additional activities, too, so if you have something that you would like to do please suggest it to us and we can set aside some space for it! We are also still looking for volunteers. It’s actually going to be pretty easy, really just showing up with a project you want to work on and being willing to share tools and knowledge with others. Hope to see you there! If you’re on Facebook, please RSVP on the Make Everything Day event page and help us promote it! 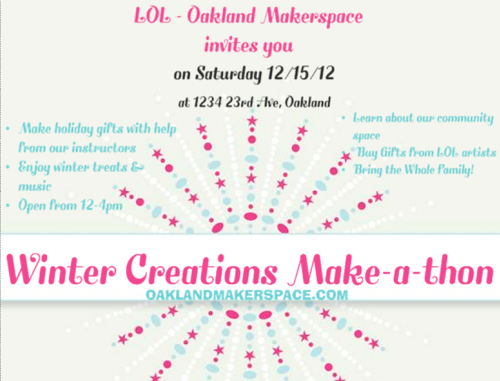 Winter Creations Make-A-Thon Dec. 15 12-4p! If holiday shopping has got you down, our holiday making party is the cure for what ails you! The Make-A-Thon is an event for DIY gift making. Please get in touch if you would like to run a station! This event is family friendly, all ages, donations appreciated!